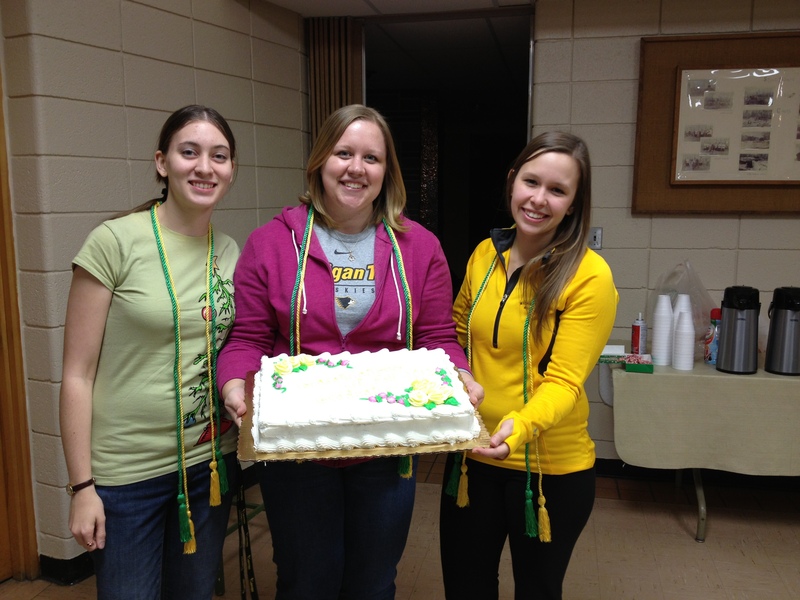 Michigan Tech SWE had three members graduate in December of 2012. We held a holiday potluck in December to celebrate them and all of their hard work devoted to SWE through the years with a cake. 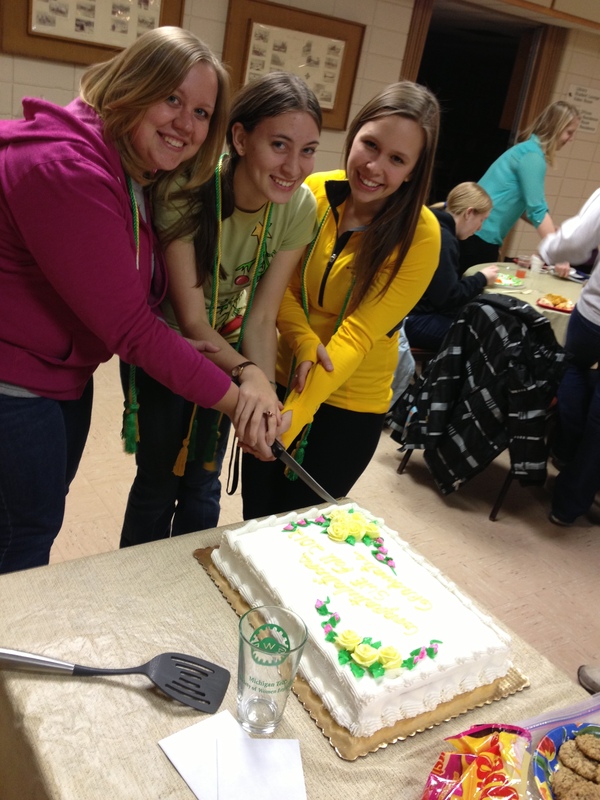 December 2012 Graduates from left to right: Andrea, Becca, Emily. Thanks ladies for all of the memories and we wish you the best of success as you start your professional career. Below are the bios of the now graduated seniors. Emily Jensen double majored in Management Information Systems and Operations and Systems Management. She held a Co-Chair position for Fundraising and was this past year’s EWI Chair. She participated in the 2012 Regional Conference in Madison and WE12 in Houstion. Andrea Walvatne majored in Mechanical Engineering and obtained minors in Visual Art and Spanish. She was involved all 4.5 years while in college. As for leadership positions, she held the Certificate of Merit Co Chair for three years. Andrea has attended two societal and two regional conferences during her involvement in SWE. She also won national first place Schlumberger essay contest this past year. Now that she has graduated and had her fun as a collegiate member, she is off looking for a professional section to join.